Home / LIFESTYLES / SPORTS / THEME PARK / GET PUMPED FOR FOOTBALL FEVER! GET PUMPED FOR FOOTBALL FEVER! 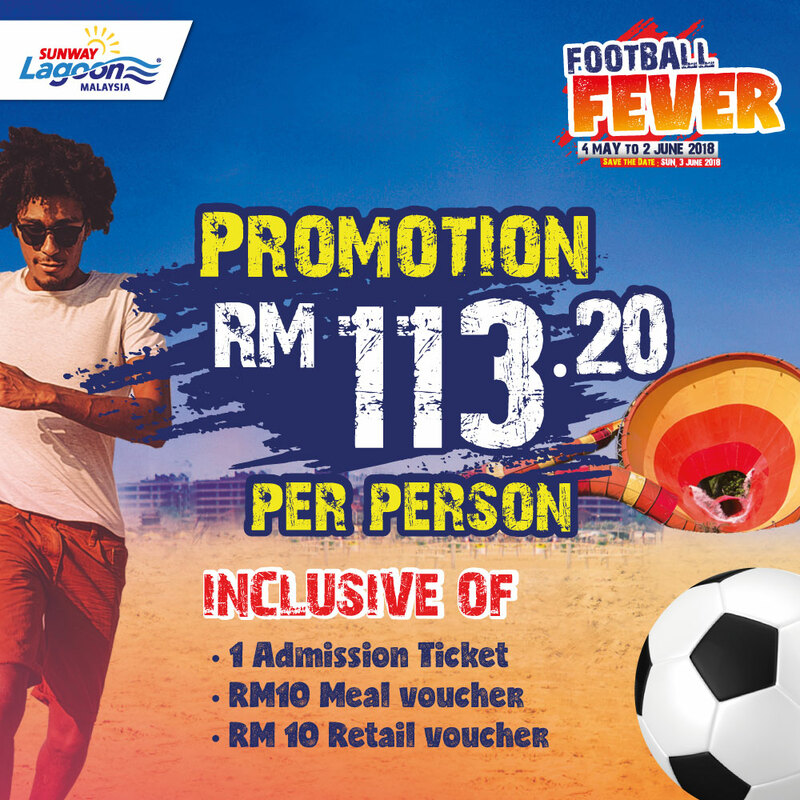 Get in on the buzz for Sunway Lagoon’s Football Fever promotion from now till 2 June 2018 for a day out for football fans on 3 June 2018, Sunday! Some of the exclusive activities include the Penalty Shoot Out, Ball Juggling, and Giant Glove Keeper. 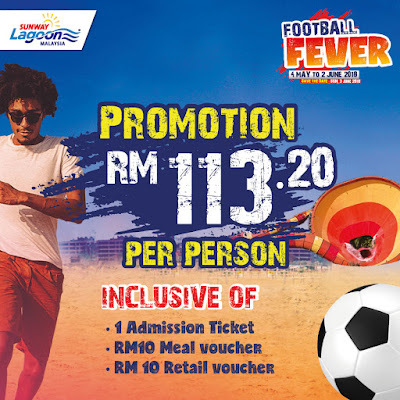 Guests are encouraged to wear their team’s jersey and take a selfie to be uploaded on Instagram with their best GOAL face, with the #SLFootballFever #SunwayLagoonMY hashtags for a chance to get the Passport To The Best Day Ever worth RM649.10. Guests who predict the 2018 FIFA World Cup winning team correctly will also get 50% off on Sunway Lagoon tickets (applicable for next visit in September). All package purchases are inclusive of Sunway Lagoon’s park admission ticket with one (1) RM10 meal voucher and one (1) RM10 retail voucher at only RM113.20 (Adult / Child / Senior)!